Experts in law and international politics debate revelations. 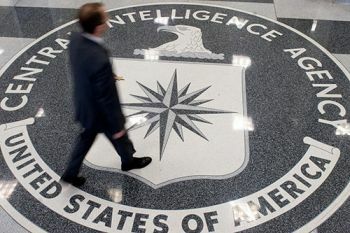 As the world reacted to the publication of a damning US Senate report into post-9/11 CIA interrogations, academics from City University London give their expert analyses. "The question of the likelihood of US officials facing prosecution in light of the recently-released CIA torture report is too narrow," he says. "The list of likely perpetrators does not include President Bush, Vice President Cheney or Secretary of Defence, Donald Rumsfeld, who actually pushed the practices from the very top of the administration. In general, it is doubtful there will be any prosecutions; only CIA whistle-blowers get prosecuted." Professor Parmar explains that while the Bush administration placed CIA interrogators under "severe pressure" in the wake of 9/11, torture has been "a fairly routine practice of successive US administrations". For example, waterboarding was used during the Philippine insurrection of 1900-1908. The academic says torture has continued in sites off US soil and that despite Obama "halting torture by Americans", the US President "has done nothing about the torture carried out by US allies in Pakistan, Egypt, Jordan, Bangladesh, Kenya and other nations under American supervision". He concludes: "The fact that torture does not even yield accurate or useful information is, to my mind, beside the point and merely the other side of the justifications used to support the practice - would it really be justified in a civilised society even if it did reveal useful information?" Writing in The Conversation, Katherine Reece Thomas, Associate Professor of Law in The City Law School, said the chances of the United States and its agencies being prosecuted for torture appear to be remote. "Here, the problem is the immunity enjoyed by the US and its agencies under the rules of public international law," she says. "Generally accepted rules of state immunity mean that a state cannot be sued in the courts of another state, except in a few exceptional circumstances, mostly relating to commercial matters. "States can be sued in foreign courts for torts they have committed in the territory of that foreign state (the tort within the jurisdiction exception to immunity). So a claim by a victim against the CIA or its agents in the courts of the state where the torture occurred might be possible in principle. "But the central problem remains: the US would be unlikely to appear in such proceedings, and enforcing any court-ordered compensation would be extremely difficult. It should be remembered as well that ultimately the immunity of states with respect to criminal proceedings in these matters is absolute." "Despite many attempts over the past decade to hold US leaders to account for torture in the war on terror context, prosecution now seems highly unlikely and may in fact be counterproductive."